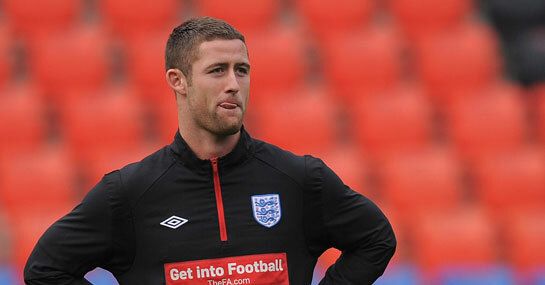 Arsenal are leading the chase for Bolton’s Gary Cahill as Arsene Wenger looks to draft in players to cover up a defence that has been depleted by injury. Arsenal are currently 4/1 second favourites in the Premier League title race and with Chelsea’s (9/1) loss of form, many see Wenger’s side as the main challengers to Manchester United (4/6). But the news that Thomas Vermaelen has suffered another setback in his recovery from an Achilles injury, coupled with Sebastien Squillaci’s hamstring strain that the Frenchman suffered against Leeds United, means Arsene Wenger needs to go shopping. It is unsure when Vermaelen will return as Arsenal continue to consult the leading specialists, and Wenger knows that his side cannot compete in the title run-in with just two fit first-team defenders. So Wenger has targeted signing at least one of three targets to shore up a defence that is only the fifth best in the Premier League and concedes, on average, 1.05 goals a game. Cahill, Werder Bremen ‘s Per Mertesacker and Bosnian international Emir Spaphic have all been targeted by the Gunners boss who hopes to complete a signing in the near future. In the meantime, 18-year-old Ignasi Miguel could be drafted in for Arsenal’s away trip to West Ham on Saturday and considering the Hammers good run of form at Upton Park, three wins in as many games, they look the value of Saturday’s fixtures at 5/1 to beat Arsenal. Arsenal are 4/7 to record the victory over their London neighbours and it has been eight games in all competitions since West Ham last beat the Gunners, but a depleted defence against a confident attack can see the Hammers prevail. Either way, goals can be expected at Upton Park and a 3-2 West Ham victory is priced at 40/1.